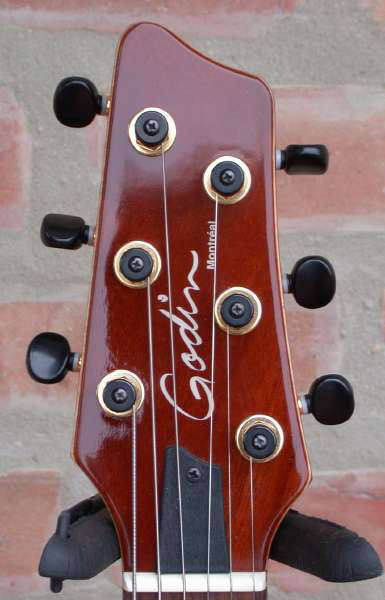 Godin Montreal A guitar? 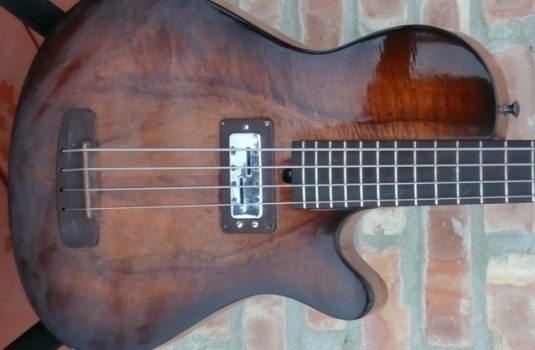 Hey, it’s a very nice guitar , and some of us bassists might know what to do with it , right? 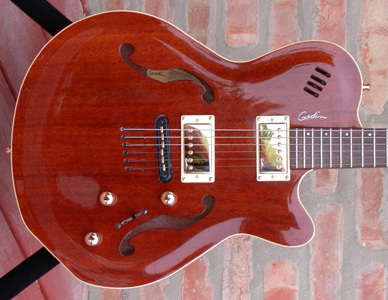 This is Godin’s Montreal, an ES335 / Jazz guitar , a very versatile piece with 2 magnetic pickups plus a great sounding LR Baggs piezo bridge pickup. 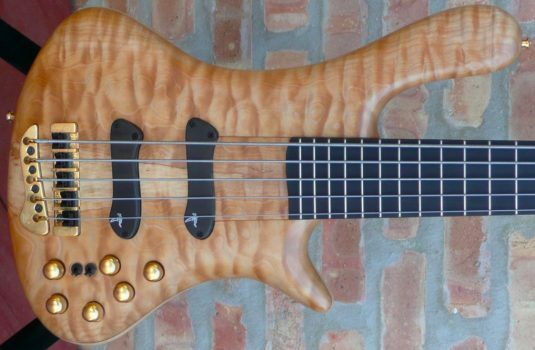 See the sliders on the upper bass bout? Those are volume and 3 band for the piezo. 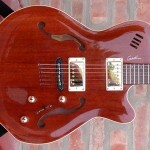 The magnetics have a blend and tone control plus a 5 position pickup selector. 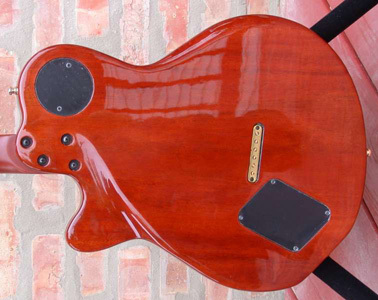 There are 2 output jacks , one for piezo only, one for all pickups. 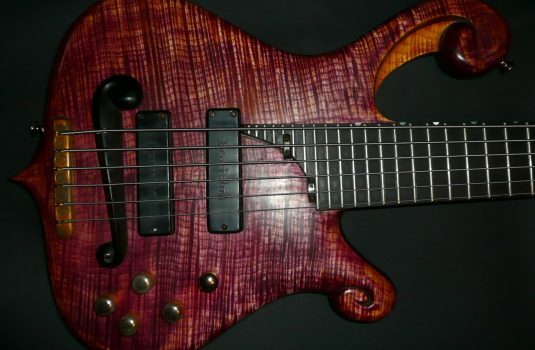 Bottom line, LOTS of different sounds from a single guitar.